Have you ever been employed in a genuinely cooperative and productive environment where you looked forward each day to making your contribution to the enterprise and assisting your colleagues? Conversely, have you ever worked in a highly stressful and unsupportive atmosphere where you dreading going back there nearly every day? Or perhaps you have found in your career that your jobs and employers were somewhere in the mid-range of this spectrum of office cultures. For all of these good, bad or indifferent workplaces, a key question is whether any of the actions of management to engage the staff and listen to their concerns ever resulted in improved working conditions and higher levels of job satisfaction? The answer is most often “yes”. Just having a say in, and some sense of control over, our jobs and workflows can indeed have a demonstrable impact on morale, camaraderie and the bottom line. As posited in the Hawthorne Effect, also termed the “Observer Effect”, this was first discovered during studies in the 1920’s and 1930’s when the management of a factory made improvements to the lighting and work schedules. In turn, worker satisfaction and productivity temporarily increased. This was not so much because there was more light, but rather, that the workers sensed that management was paying attention to, and then acting upon, their concerns. The workers perceived they were no longer just cogs in a machine. Giving the processes of observation, analysis and change at the enterprise level a modern (but non-quantum) spin, is a fascinating new article in the September 2018 issue of The Atlantic entitled What Your Boss Could Learn by Reading the Whole Company’s Emails, by Frank Partnoy. I highly recommend a click-through and full read if you have an opportunity. I will summarize and annotate it, and then, considering my own thorough lack of understanding of the basics of y=f(x), pose some of my own physics-free questions. Andrew Fastow was the Chief Financial Officer of Enron when the company infamously collapsed into bankruptcy in December 2001. Criminal charges were brought against some of the corporate officers, including Fastow, who went to prison for six years as a result. After he had served his sentence he became a public speaker about his experience. At one of his presentations in Amsterdam in 2016, two men from the audience approached him. They were from KeenCorp, whose business is data analytics. Specifically, their clients hire them to analyze the email “word patterns and their context” of their employees. This is done in an effort to quantify and measure the degree of the staff’s “engagement”. The resulting numerical rating is higher when they feel more “positive and engaged”, while lower when they are unhappier and less “engaged”. KeenCorp’s software found the lowest engagement score when Enron filed for bankruptcy. However, the index also took a steep dive two years earlier. This was puzzling since the news about the Enron scandal was not yet public. So, they asked Fastow if he could recall “anything unusual happening at Enron on June 28, 1999”. The finance industry is another growth sector, as investment banks and hedge funds scan a wide variety of information sources to locate “slight changes in language” that may point towards pending increases or decreases in share prices. Financial research providers are using artificial intelligence to mine “insights” from their own selections of news and analytical sources. But is this technology effective? In a paper entitled Lazy Prices, by Lauren Cohen (Harvard Business School and NBER), Christopher Malloy (Harvard Business School and NBER), and Quoc Nguyen (University of Illinois at Chicago), in a draft dated February 22, 2018, these researchers found that the share price of company, in this case NetApp in their 2010 annual report, measurably went down after the firm “subtly changes” its reporting “descriptions of certain risks”. Algorithms can detect such changes more quickly and effectively than humans. The company subsequently clarified in its 2011 annual report their “failure to comply” with reporting requirements in 2010. A highly skilled stock analyst “might have missed that phrase”, but once again its was captured by “researcher’s algorithms”. In the hands of a “skeptical investor”, this information might well have resulted in them questioning the differences in the 2010 and 2011 annual reports and, in turn, saved him or her a great deal of money. This detection was an early signal of a looming decline in NetApp’s stock. Half a year after the 2011 report’s publication, it was reported that the Syrian government has bought the company and “used that equipment to spy on its citizen”, causing further declines. Now text analytics is being deployed at a new target: The composition of employees’ communications. Although it has been found that workers have no expectations of privacy in their workplaces, some companies remain reluctant to do so because of privacy concerns. Thus, companies are finding it more challenging to resist the “urge to mine employee information”, especially as text analysis systems continue to improve. Among the evolving enterprise applications are the human resources departments in assessing overall employee morale. For example, Vibe is such an app that scans through communications on Slack, a widely used enterprise platform. Vibe’s algorithm, in real-time reporting, measures the positive and negative emotions of a work team. Returning to KeenCorp, can their product actually detect any wrongdoing by applying text analysis? While they did not initially see it, the company’s system had identified a significant “inflection point” in Enron’s history on the June 28, 1999 date in question. Fastow said that was the day the board had discussed a plan called “LJM”, involving a group of questionable transactions that would mask the company’s badly under-performing assets while improving its financials. Eventually, LJM added to Enron’s demise. At that time, however, Fastow said that everyone at the company, including employees and board members, was reluctant to challenge this dubious plan. KeenCorp currently has 15 employees and six key clients. Fastow is also one of their consultants and advisors. He also invested in the company when he saw their algorithm highlight Enron’s employees’ concerns about the LJM plan. He hopes to raise potential clients’ awareness of this product to help them avoid similar situations. The company includes heat maps as part of its tool set to generate real-time visualizations of employee engagement. These can assist companies in “identifying problems in the workplace”. In effect, it generates a warning (maybe a warming, too), that may help to identify significant concerns. As well, it can assist companies with compliance of government rules and regulations. Yet the system “is only as good as the people using it”, and someone must step forward and take action when the heat map highlights an emerging problem. Analyzing employees’ communications also presents the need for applying a cost/benefit analysis of privacy considerations. In certain industries such as finance, employees are well aware that their communications are being monitored and analyzed, while in other businesses this can be seen “as intrusive if not downright Big Brotherly”. Moreover, managers “have the most to fear” from text analysis systems. For instance, it can be used to assess sentiment when someone new is hired or given a promotion. Thus, companies will need to find a balance between the uses of this data and the inherent privacy concerns about its collection. In addressing privacy concerns about data collection, KeenCorp does not “collect, store on report” info about individual employees. All individually identifying personal info is scrubbed away. Text analysis is still in its early stages. There is no certainty yet that it may not register a false positive reading and that it will capture all emerging potential threats. Nonetheless it is expected to continue to expand and find new fields for application. Experts predict that among these new areas will be corporate legal, compliance and regulatory operations. Other possibilities include protecting against possible liabilities for “allegations of visa, fraud and harassment”. The key takeaway from the current state of this technology is to ascertain the truth about employees’ sentiments not by snooping, but rather, “by examining how they are saying it”. Should text analysis data be factored into annual reviews of officers and/or board members? If so, how can this be done and what relative weight should it be given? Should employees at any or all levels and departments be given access to text analysis data? How might this potentially impact their work satisfaction and productivity? Is there a direct, casual or insignificant relationship between employee sentiment data and up and/or down movements in market value? If so, how can companies elevate text analysis systems to higher uses? How can text analysis be used for executive training and development? Might it also add a new dimension to case studies in business schools? What does this data look like in either or both of short-term and long-term time series visualizations? Are there any additional insights to be gained by processing the heat maps into animations to show how their shape and momentum are changing over time? 1. 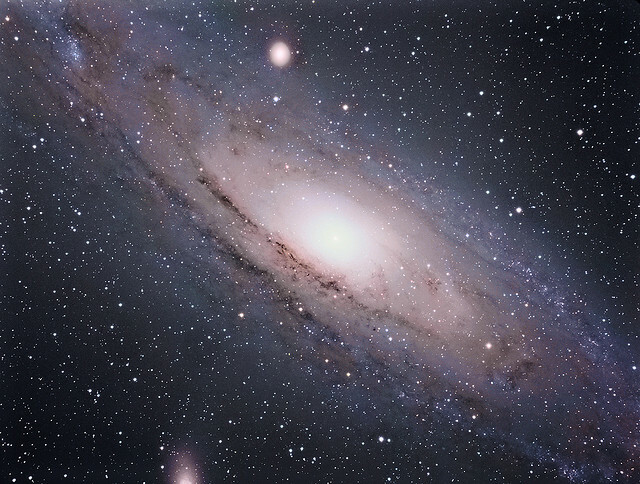 See also the May 20, 2015 Subway Fold post entitled A Legal Thriller Meets Quantum Physics: A Book Review of “Superposition” for the application of this science in a hard rocking sci-fi novel. 2. These 10 Subway Fold posts cover other measurements of social media analytics, some including other applications of text analytics. Today’s marketing and business development professionals use a wide array of big data collection and analytical tools to create and refine sophisticated profiles of market segments and their customer bases. These are deployed in order to systematically and scientifically target and sell their goods and services in steadily changing marketplaces. I will briefly to this add my own long-term yet totally unscientific study of office-mess-ographics. Here I have been looking for any correlation between the relative states of organization – – or entropy – – in people’s offices and their work’s quality and output. The results still remain inconclusive after years of study. One of the most brilliant and accomplished people I have ever known had an office that resembled a cave deep in the earth with piles of paper resembling stalagmites all over it. Even more remarkably, he could reach into any one of those piles and pull out exactly the documents he wanted. His work space was so chaotic that there was a long-standing joke that Jimmy Hoffa’s and Judge Crater’s long-lost remains would be found whenever ever he retired and his office was cleaned out. Speaking of office-focused analytics, an article posted on VentureBeat.com on March 5, 2016, entitled CMOs: ‘Technographics’ is the New Demographics, by Sean Zinsmeister, brought news of a most interesting new trend. I highly recommend reading this in its entirety. I will summarize and add some context to it, and then pose a few question-ographics of my own. Marketers are now using a new methodology call technography to analyze their customers’ “tech stack“, a term of art for the composition of their supporting systems and platforms. The objective of this approach is to deeply understand what this says about them as a company and, moreover, how can this be used in business-to-business (B2B) marketing campaigns. Thus applied, technography can identify “pain points” in products and alleviate them for current and prospective customers. What types of mobile apps and wearables? By virtue of this type of technographic data, retailers can target their ads in anticipation of “which customers are most likely to shop in store, online, or via mobile”. Technographics can provide unique and valuable insights into assessing, for example, whether a customer values scalability or ease-of-use more, and then act upon this. As well, some of these technographic signals can be indicative of other factors not, per se, directly related to technology. This was the case at Eloqua, a financial technology concern. They noticed their marketing systems have predictive value in determining the company’s best prospects. Furthermore, they determined that companies running their software were inclined “to have a certain level of technological sophistication”, and were often large enough to have the capacity to purchase higher-end systems. They parse data using such factors as “web hosting, analytics, e-commerce, advertising, or content management platforms”. Another firm called Ghostery has a Chrome browser extension illuminating the technologies upon which any company’s website is built. The next key considerations are to “define technographic profiles and determine next-best actions” for specific potential customers. For instance, an analytics company called Looker creates “highly targeted campaigns” aimed at businesses who use Amazon Web Services (AWS). The greater the number of marketers who undertake similar pursuits, the more they raise the value of their marketing programs. Sales reps prospecting for new leads can be supported with more focused messages for potential new customers. These are shaped by understanding their particular motivations and business challenges. Locating opportunities in new markets can be achieved by assessing the tech stacks of prospective customers. Such analytics can further be used for expanding business development and product development. An example is the online training platform by Mindflash. They detected a potential “demand for a Salesforce training program”. Once it became available, they employed technographic signals to pinpoint customers to whom they could present it. Enterprise wide decision-making benefits can be achieved by adding “value in areas like cultural alignment”. Familiarity with such data for current employees and job seekers can aid businesses with understanding the “technology disposition” of their workers. Thereafter, its alignment with the “customers or partners” can be pursued. Furthermore, identifying areas where additional training might be needed can help to alleviate productivity issues resulting from “technology disconnects between employees”. Many businesses are not yet using technographic signals to their full advantage. By increasing such initiatives, businesses can acquire a much deeper understanding of their inherent values. In turn, the resulting insights can have a significant effect on the experiences of their customers and, in turn, elevate their resulting levels of loyalty, retention and revenue, as well as the magnitude of deals done. Would professional service industries such as law, medicine and accounting, and the vendors selling within these industries, benefit from integrating technographics into their own business development and marketing efforts? Could there be, now or in the future, an emerging role for dedicated technographics specialists, trainers and consultants? Alternatively, should these new analytics just be treated as another new tool to be learned and implemented by marketers in their existing roles? If a company identifies some of their own employees who might benefit from additional training, how can they be incentivized to participate in it? Could gamification techniques also be applied in creating these training programs? What, if any, privacy concerns might surface in using technographics on potential customer leads and/or a company’s own internal staff? In the wake of the destruction left by the Enron scandal and subsequent bankruptcy in the early 2000s, one of the more revelatory and instructive artifacts left behind was the massive trove of approximately 1,600,000 of the company’s corporate emails. Researchers from a variety of fields have performed all manner of extensive analyses on this “corpus” of emails as it known. Of particular interest was the structure and operations of this failed company’s communications network. That is, simply stated, extracting and examining who’s who and what’s what in this failed organization. No other database of this type, size and depth had ever been previously available for such purposes. What the researchers have learned from this and its subsequent and significant influences in many public and private sectors was the subject of a fascinating article in MIT Technology Review posted on July 2, 2013 entitled The Immortal Life of the Enron E-mails by Jessica Lander. I highly recommend reading this. I immediately recalled this piece recently while reading a column posted on the Harvard Business Review blog on February 10, 2016 entitled What Work Email Can Reveal About Performance and Potential by Chantrelle Nielsen. This analytical processes and consulting projects it describes could be of highly practical value to all manners and sizes of organizations. I also suggest reading this in its entirety. I will summarize, annotate and pose some emoji-free questions of my own. I believe this post will also provide a logical follow-on to the February 15, 2016 Subway Fold post entitled Establishing a Persuasive Digital Footprint for Competing in Today’s Job Market. That post covered the importance a job candidate’s digital presence before being hired while this post covers the predictive potential of an employee’s digital presence after they have become an employee and integrated themselves into an organization. The author begins by focusing her attention upon the modern tools and platforms used in the workplace for people to communicate and collaborate such as Skype and Slack. More traditionally, there is email. While these modes are important, they can also be a “mixed blessing”. Careful management of these technologies can assist is determining which forms of “digital communications are productive” for both employers and their employees. The author mentions that her former company, VoloMetrix, is engaged in this field and has been acquired by Microsoft. The examples and her article concern work done for the firm’s clients before it become part of MS. During this time, VoloMetrix worked for years “with executives in large enterprises” to enable them to discern patterns within employees’ digital communications. The best performers were characterized by 36% larger in-house networks, when compared to average performers, where they connected “at least biweekly in small group messages”. (This criterion was used to determine “strong ties”). The lower performers exhibited “6% smaller networks” when compared to average performers. On an annual basis, the “size and strength” of employees’ networks proved to a better predictor of their performances than managers’ more traditional assessments. Thus, being “intensely engaged” in collaborating with their peers was a driver of their work performance. This effect was likewise seen at other business-to-business sales concerns. For instance, at a software company the top 10 workers in sales were, on average, connected to 10 or more of their colleagues. Their internal networks proved to be 25% larger than the networks of low performers. When social graph data (used to visualize the structures of networks), was examined it frequently indicated that connections within a company were even more important than those outside of it. Those people who “were often the most connected” were shown to have networks “52% larger than average”. Nonetheless, there were still others within this same group having networks of “below average” dimensions. Managers surveyed reported that the less connected workers also had “great skills or ideas”, but displayed “potentially less” extroversion³ or emotional intelligence 4 needed to become influential. Still, opportunities are available to assist these people to “gain a broader audience” with better connected “agents” who, in turn, can promote their ideas. Furthermore, growing a large network only for its own sake is not always the optimal approach. Rather, some networks are “more effective” because of who they include. That is, if they include people who have higher degrees of influence. The “involvement of certain sales roles” corresponded to a 10X increase in the size of deals with customers. Some sales roles were characterized as “middlemen” and, as such, did not “clearly demonstrate” anyone’s personal leadership potential. The second is the prediction of outcomes, most often by sales organization to determine “which deals will close”. While this currently is applied less often than the awareness approach, this situation is now changing. The insights gained from studying communications networks which are then applied to help build better working relationships and performance, must be “used thoughtfully” while balancing human and technological factors. Moreover, for these to work properly and “make connections more meaningful and efficient”, effectively gathering sufficient data on how employees do their jobs and communicate with their peers is essential. Would it be helpful to a company’s workforce to make this data and analytics readily available to everyone on their internal network and, if so, what would be the benefits and/or drawbacks of doing so? Would access to one’s network’s shape and reach result in some unintended consequences such as pressuring workers to increase the size of their internal and external contacts? Should rewards systems be piloted to see whether they can positively incentivize employees to nurture their networks? For example, for X amount of new contacts added that support a company’s goals, Y additional days off might be awarded. Can network analytics be used to fairly or unfairly restrict workers with non-competition and non-disclosure clauses when they change jobs? 1. Many of these 26 Subway Fold posts under the Category of Social Media also involve metrics and analytical systems for interpreting the voluminous data generated by a wide range of social media services. 2. A thriving market exists today in enterprise search products that can index, search and unlock the valuable knowledge embedded deep within corporate email and other data platforms. Here is a list of vendors on Wikipedia. 3. For a completely different and highly engaging analysis of the virtues of being an introvert in social and business environments, I highly recommend reading a recent bestseller entitled Quiet: The Power of Introverts in a World That Can’t Stop Talking (Broadway Books, 2013), by Susan Cain. 4. The authoritative and highly regarded work on this subject is Emotional Intelligence: Why It Can Matter More Than IQ (Bantam Books, 2005), by Daniel Goleman. Near the end of The Matrix, right after Neo and Trinity have their epic battle with the agents on the rooftop , he turns to her and asks whether she “can fly that thing”, referring to a nearby helicopter. They need to do this in order proceed to rescue Morpheus. She doesn’t know how to … just quite yet. Then she takes out her mobile phone to call Apoc and ask him to quickly upload a program to her virtual self that will enable her to pilot the chopper. The very first time I saw this groundbreaking sci-fi film, at the Regal Union Square Stadium 14 on Broadway and 13th Street in Manhattan, the audience laughed at the absurdity of this dialog. While they were utterly dazzled by the rest of the narrative and strikingly original special effects (especially the astonishing and brain-melting sequence known as “bullet time” where Neo fights and clearly proves he’s no neophyte), this was still an awkward moment because people were laughing at this otherwise captivating film. While I doubt that anyone would still laugh at this line in today’s world of all things networked and digital, we still have not reached anywhere near the point where people can have new skills and knowledge uploaded right to our brains. Well, at least not anytime soon and, to say the least, doing so would redefine the whole notion of an “upgrade”. Nonetheless, there has been an enormous revolution in the breadth and diversity of webwide learning platforms. These are now available to anyone anywhere anytime with online access and a desire to learn. The benefits and the potential of online education were first taken up here in a Subway Fold Post on February 15, 2015 entitled A Real Class Act: Massive Open Online Courses (MOOCs) are Changing the Learning Process. I have taken MOOCs on everything from content strategy to project management to basic programming and have learned a great deal from them. However, in today’s highly competitive economy and job market, employers are just not sure how to evaluate prospective workers when they list online courses on their resumes and discuss them at interviews. There is no standardization yet in the requirements and weighting of these credentials. This critical issue was taken up in a very timely and informative feature in the November 18, 2015 edition of The Wall Street Journal entitled Online Skills Are Hot, But Will They Land You a Job? by Lauren Weber. I will summarize and annotate it, and pose some of my own non-academic questions. Employers are currently searching for people with latest “technical and digital skills”. As a result, there has been a significant increase in the services rendered by course providers including Udemy and Lynda.com, coding bootcamps, and MOOCs such as Coursera and edX. These online learning platforms aim to assist workers in enhancing their skills or to provide “experience they didn’t get in college”. Nonetheless, many managers still neither trust nor recognize these new providers and their course offerings. According to Anthony Carnevale, the director of Georgetown University’s Center on Education and the Workforce, there is no central authority setting any standards for these online educational providers. Some of the job seekers who have taken these online classes are likewise frustrated by this situation. An effort to create such standards has recently been undertaken by a group of academic researchers with additional assistance from trade groups including the U.S. Chamber of Commerce Foundation. Support for this also includes a $2.25 million grant from the Lumina Foundation, whose stated goal is for 60% of Americans to gain post-high school training by 2025. This project involves creating an online registry for use by both employers and workers to research credentials. This is intended for either group to “see exactly what skills they reflect”. The creation of this credential registry is currently being done as a joint project by George Washington University, Southern Illinois University and the American National Standards Institute. A pilot of the directory is expected to be rolled out sometime during mid-2016. The working group plans to assure employers that an online educator’s credentials (or “badges”) are “a sign of rigorous training”, by surveying employers about the credentials held by employees in specific roles. This will be done in an effort to provide validation for particular courses and badges. LinkedIn which is engaged in a pilot program in Phoenix and Denver. The company is canvassing area employers about the skills they are seeking and the credentials of the workers they have recently hired. Using this information, the job networking site will permit users to learn the skills they will need for a particular job and the classes and training that “recent hires in that role have had”. This service will launch in early 2016. TechHire which is a new U.S. government venture launched earlier this year by the Obama administration, whose mission is to expedite training and employment opportunities “for people without traditional academic backgrounds”. It is expected to accelerate the validity of the credentials it is offering by persuading “employers to review their skill requirements” and coordinate with training providers of “nontraditional coursework” including coding boot camps and online classes. According to Dennis Yang, the CEO of Udemy, if these gain wide acceptance, college degrees or technical certificates might no longer be relevant. Rather, for him, the two key criteria are the ability and the willingness to learn new things. Would a hybrid of credential standardization and skills simulations be another viable approach? That is, could the groups involved in each of these efforts could inform, influence and shape each others’ work? How would either or both of these processes be affected in jobs requiring state or federal licensing? Should employees in certain jobs be somehow incentivized by their employers to take duly certified online courses in order to remain current in their fields? Should companies factor online courses taken into an employee’s annual performance review? 1. See also a September 12, 2014 post on Lawyerist.com entitled The Legal Tech Audit Proves Lawyers Are Terrible at Technology, by Lisa Needham. 2. See also an October 23, 2015 article in the Houston Chronicle entitled Waste Management Overhauls Its Recruiting by Sarah Scully, where Ms. McDuffie is also quoted several times. The global usage of ad blocking software is rapidly rising and the cost in 2015 so far has been $21.8 billion in lost revenue. This amount is projected to nearly double in 2016. These are the key conclusions of a new 17-page report entitled The Cost of Ad Blocking, co-authored by Adobe and PageFirst (a startup working to analyze and counter ad blocking technology). The report assesses the technological, economic and geographic impacts of this phenomenon. A concise summary and analysis of this was posted on BusinessInsider.com on August 10, 2015 entitled Ad Blocking Has Grown 41% in the Past Year and It’s Costing Publishers Tens of Billions of Dollars by Lara O’Reilly. I will sum up, annotate, and add a few unblocked questions of my own. I highly recommend clicking through reading both the actual report and Ms. O’Reilly’s article together for a fuller perspective on this subject. Ad blocking software usage has increased 41% in the last year, now totaling 198 million active users each month. While this represents only 6% of web-wide activity, it is the dollar equivalent of 14% of the “global ad spend”. In 2016, the revenue lost to ad blocking is expected to reach $41.4 billion. The usage of ad blockers began to rise significantly in 2013 (as shown in the chart on Page 4 of the report). Ad blocker users tend to be “young, technically savvy, and more likely to be male”. The rates of ad blocking varies widely within specific countries (as shown in the graphic on Page 5 of the report), and likewise from country to country (as shown on Page 6 displaying the countries in Europe). Dr. Johnny Ryan, an executive at PageFirst, views the growth of ad blocking as being “viral” in its characteristics and anticipated continuance. As stated in the 2014 report on ad blocking, this software spreads both by word of mouth and users’ online research. Regarding users’ motivations for using ad blockers, a survey of 400 US users, displayed on Page 12, found the leading reason was their concern over the handling of their personal data. In another survey of UK users by the Internet Advertising Bureau, a majority found that ad blockers increased the speed and performance of their browsers (although this was not listed as one of the reasons in the Adobe and PageFirst report). Nonetheless, Mr. Ryan does not consider this to be an important factor is motivating the use of ad blockers. Are the people motivated enough to install an ad blocker more than likely to not be uninterested in the ads and thus not potential consumers to the degree that the claims of huge lost revenues are not really all that lost? The report’s underlying assumption is that if these blocked ads were otherwise viewed more sales would have been generated. Where’s the actual harm and where’s the real foul if these “lost” users are more unlikely to become paying consumers in the first place? If ad blocking is so pervasive and growing at such a steep rate, are online advertisers now seeing this phenomenon as a just a cost of doing business to be factored into their accounting and reporting systems? How can truly savvy and inventive e-commerce marketers and content strategists possibly use ad blocking their advantage? That is, can they somehow recast their web advertising content and formats to be less intrusive, more informative, and better protective of personal data to incentivize users enough to not use ad blockers? For additional informative coverage of Adobe’s and PageFirst’s report with further links to useful references, I also suggest clicking through to read a report posted on the Wall Street Journal’s Digits blog on August 10. 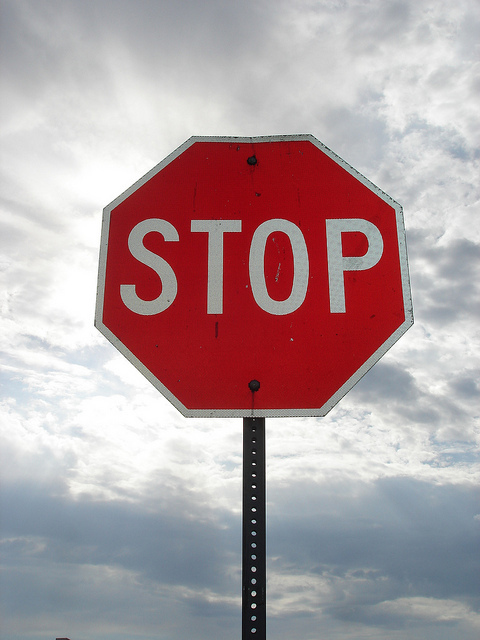 2015 entitled Ad-Blocking Software Will Cost the Ad Industry $22 Billion This Year by Elizabeth Dwoskin. 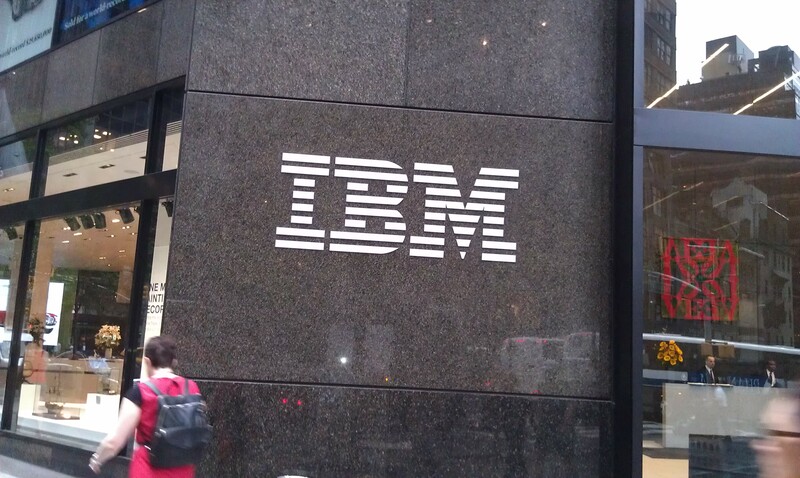 My photo of the entrance to IBM’s office at 590 Madison Avenue in New York, taken on July 29, 2015. I don’t know if my heart can take this much excitement. Yesterday morning, on July 29, 2015, I attended a very compelling presentation and demo of IBM’s Watson technology. (This AI-driven platform has been previously covered in these five Subway Fold posts.) Just the night before, I saw I saw a demo of some ultra-cool new augmented reality systems. Yesterday’s demo of Watson Analytics, one key component among several on the platform, was held at IBM’s office in the heart of midtown Manhattan at 590 Madison Avenue and 57th Street. The company very graciously put this on for free. All three IBM employees who spoke were outstanding in their mastery of the technology, enthusiasm for its capabilities, and informative Q&A interactions with the audience. Massive kudos to everyone involved at the company in making this happen. Thanks, too, for all of attendees who asked such excellent questions. Part 1: What is Watson Analytics? The first two speakers began with a fundamental truth about all organizations today: They have significant quantities of data that are driving all operations. However, a bottleneck often occurs when business users understand this but do not have the technical skills to fully leverage it while, correspondingly, IT workers do not always understand the business context of the data. As a result, business users have avenues they can explore but not the best or most timely means to do so. “What” is how to discover and define business problems. “Why” is to understand the existence and nature of these problems. “How” is to share this process in order to affect change. However, Watson is specifically not intended to be a replacement for IT in any way. Also, one of Watson’s key capabilities is enabling users to pursue their questions by using a natural language dialog. This involves querying Watson with questions posed in ordinary spoken terms. Taken directly from the world of commerce, the IBM speakers presented a demo of Watson Analytics’ capabilities by using a hypothetical situation in the airline industry. This involved a business analyst in the marketing department for an airline who was given a compilation of market data prepared by a third-party vendor. The business analyst was then assigned by his manager with researching and planning how to reduce customer churn. Better understand, leveraged and applied to increase customers’ positive opinions while simultaneously decreasing the defections to the airline’s competitors. Comprehensively modeled in order to understand the elements of the customer base’s satisfaction, or lack thereof, with the airline’s services. The speakers then put Watson Analytics through its paces up on large screens for the audience to observe and ask questions. The goal of this was to demonstrate how the business analyst could query Watson Analytics and, in turn, the system would provide alternative paths to explore the data in search of viable solutions. User engagement developers are working on an updated visual engine, increased connectivity and capabilities for mobile devices, and social media commentary. Collaboration developers are working on accommodating work groups and administrators, and dashboards that can be filtered and distributed. Data connector developers are working on new data linkages, improving the quality and shape of connections, and increasing the degrees of confidence in predictions. For example, a connection to weather data is underway that would be very helpful to the airline (among other industries), in the above hypothetical. New analytics developers are working on new functionality for business forecasting, time series analyses, optimization, and social media analytics. Everyone in the audience, judging by the numerous informal conversations that quickly formed in the follow-up networking session, left with much to consider about the potential applications of this technology. 1. 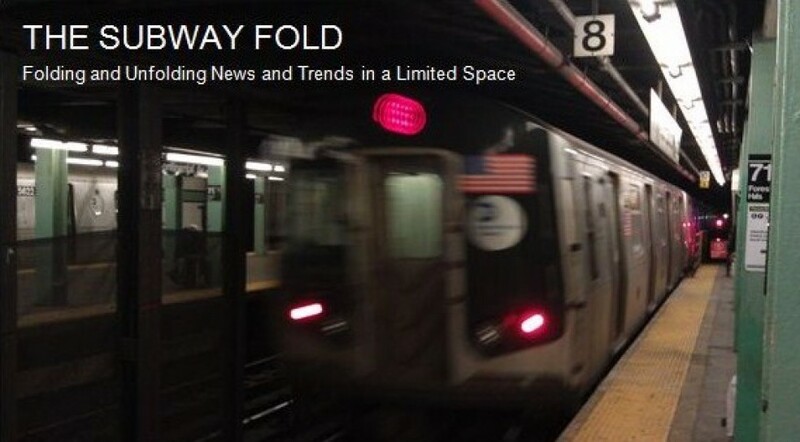 Please see these six Subway Fold posts covering predictive analytics in other markets. 2. Please see these ten Subway Fold posts for a variety of other applications of Twitter analytics. On a daily basis, we see news, commentary, videos, photos, tweets, blog posts, podcasts, articles, rumors and memes go viral where they spread rapidly across the web like a propulsive digital wave. From YouTube postings of dogs and cats doing goofy things to in-the-moment hashtags and tweets about late-breaking current events, attention grabbing content now spreads at nearly the speed of light. All content creators, strategists and distributors want to know how to infuse their offerings with this elusive clickable contagion. Providing eight very useful and scientifically proven elements to, at the very least, increase the probability of new content going viral, is a new article entitled The Science Behind What Content Goes Viral, by Sarah Snow, posted on SocialMediaToday.com on July 6, 2015. I will sum up, annotate, and pose some not entirely scientific questions of my own. For further reading I also highly recommend clicking through and reading The Secret to Online Success: What Makes Content Go Viral, by Liz Rees-Jones, Katherine L. Milkman and Jonah Berger (the second and third of whom are professors at the University of Pennsylvania – – the “U of P”), posted on ScientificAmerican.com (“SciAm”) on April 14, 2015. Two fully detailed and fascinating reports by Milkman and Berger that underlie their SciAm article are available here and here. Ms. Snow’s article cites many of the findings in the SciAm piece. As well, I suggest checking out a May 22, 2015 blog post by Peter Gasca entitled The 4 Essentials of the Most Read Content posted on Entrepreneur.com for some additionally effective content strategies, not to mention a hilarious picture of a dog wearing glasses. “Long, in-depth posts tend to go viral more than short ones.”: Drawing from the findings of Milkman’s and Berger’s studies that, among other things, examined the data from the feature on the home page of the NYTimes.com called Most Emailed, longer articles had a higher tendency to be shared. As also stated by Carson Ward of the search engine optimization (SEO) consulting firm called Moz, of all possible variables, word count most closely correlate with the breadth of online sharing. Further, he believes this is a directly causal relationship. (The distinctions between correlation and causation have been previously raised in other various contexts in these six Subway Fold posts.) See also, Mr. Ward’s practical and informative January 14, 2013 posting on Moz’s site entitled Why Content Goes Viral: the Theory and Proof. “Inspire anger, awe, or anxiety and your post will go viral.”: Evidence shows that “high energy emotions” such as awe and anger, as opposed to “law energy emotions”, are more likely to spur virality. Among them, anger is the most effective, but it must be, well, tempered without insulting the audience. It is best for content authors to write about something that angers them, which, in return, require “some tolerance” by their readers. In terms of usage data, blog content which engages controversial topics generates twice as many comments in response. Alternatively, awe is a better emotion for those who wish to avoid controversy and instead focuses on the positive effects of brands and heroic acts. “Showing a little vulnerability or emotion helps content go viral.”: This is indeed true again according to the U of P studies. Readers respond to emotional content because they “want to feel things when they read”. The author Walter Kirn is quoted recommending that writers should begin with what they feel “most shameful about”. This is where conflict resides and writing about it makes you vulnerable to your readers. For other content creators, rather than shame, writers can start with some other genuine “human emotion”. “Viral content is practically useful, surprising, and interesting.”: Clearly, engaging and practical content beats boring and dull any day of the week. Content that is useful generates the highest levels of online sharing. For example, posting pragmatic suggestions and solutions to “how-to” questions is going to draw many more clicks. “Content written by known authors is more likely to go viral.”: Milkman’s and Berger’s reports further showed that being a known writer had a significant impact on the sharing of a news article. Name recognition translates into credibility and trust. “Content written by women is more likely to go viral.”: The U of P professors also reported that on NYTimes.com, the gender of a writer had an effect insofar as the data showed that articles by female authors had a tendency to be shared more that stories by male authors. “Content that is truly and broadly viral is almost always funny“: This quote about humor from Ward’s post (linked above in the first factor about blog post length), is helpful for content authors as it gives all of them an opportunity to be funny. This is particularly so in efforts to make online ads go viral. That is, WE give U content FLIGHT! Which of these factors will more likely endure, expand or disappear, especially now that a majority of users access the web on mobile devices? What new factors that have not yet emerged might soon affect the rate(s) of content virality? Is going viral purely an objective and quantifiable matter of the numbers of clicks and visitors, or are there some more qualitative factors involved? For instance, might marketing specialists and content strategists be more interested in reaching a significant percentage of traffic among a particular demographic group or market segment and just attaining X clicks and Y visitors regardless of whether or not they involve identifiable cohorts? Do the above eight factors lend themselves to be transposed into an algorithm? Assuming this is possible, how would it be applied to optimize viral content and, in turn, overall SEO strategic planning? Beside the length of content discussed as the first factor above, how do the other seven factors lend themselves to being evaluated for degrees of correlation and causation of viral results?